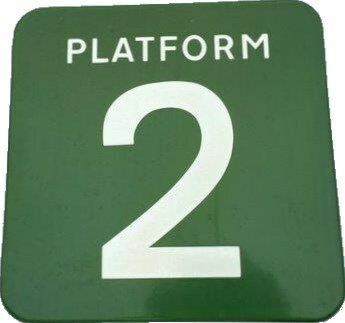 Lot 118 BR (S) Enamel Station Sign "PLATFORM 2". Size "12 x 12". In excellent Condition.